HERE ARE ALL the makings of a good whodunit: A da Vinci original. Or is it? A beheaded English king passes it on. But is he the only royal involved? A Saudi prince buys it. Or does he? An Abu Dhabi museum is to have an official unveiling. But calls it off. And where is Salvator Mundi anyway? Nobody in the know is talking. Here, in Parts 1 and 2, today and tomorrow, are details of this caper. David D. Kirkpatrick piques our interest with “A Leonardo Made a $450 Million Splash. Now There’s No Sign of It,” in The New York Times, March 30, 2019. Salvator Mundi, c. 1500, is attributed to Leonardo da Vinci. Image by Kristy Wigglesworth/AP in The New York Times, March 30, 2019. A Beheaded Owner. 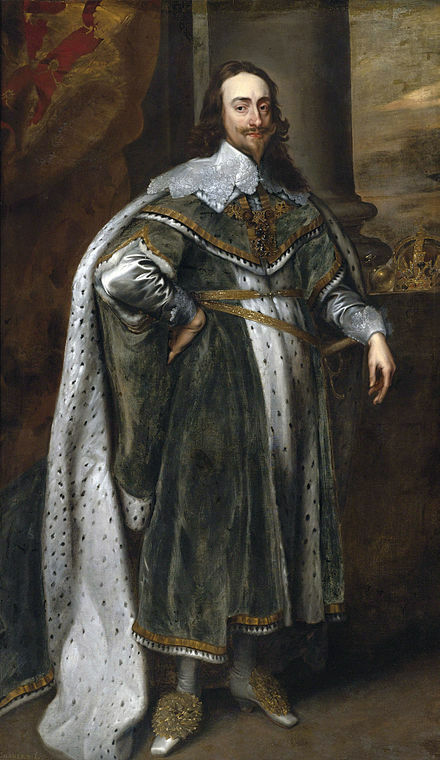 The painting is one of two similar works listed as belonging to King Charles I of England prior to his execution in 1649. Charles I, 1600–1649, King of England. He is the second in the James I/Charles I/Charles II/James II/William and Mary/Anne Stuart reign, with Oliver Cromwell in between the Charles twosome. This is getting juicy, isn’t it? Indeed, other royals may be involved: King Louis XII of France, Charles II and James II of England, and perhaps another. A Muddled Provenance. Salvator Mundi disappeared from art history in the late 1700s. Then it turned up in the collection of a 19th-century British industrialist. Or was it acquired by Sir Charles Robinson, etcher, museum curator, art collector, and connoisseur, for the Cook Collection in 1900? Or are these two acquisitions one and the same? Kirkpatrick notes, “It had been so heavily painted over that ‘it looked like a drug-crazed hippie,’ Professor Kemp said.” The painting was attributed at the time to Bernardo Luini, one of Leonardo’s assistants. In 1958, it was sold out of that collection for the equivalent of $1350 in today’s dollars. 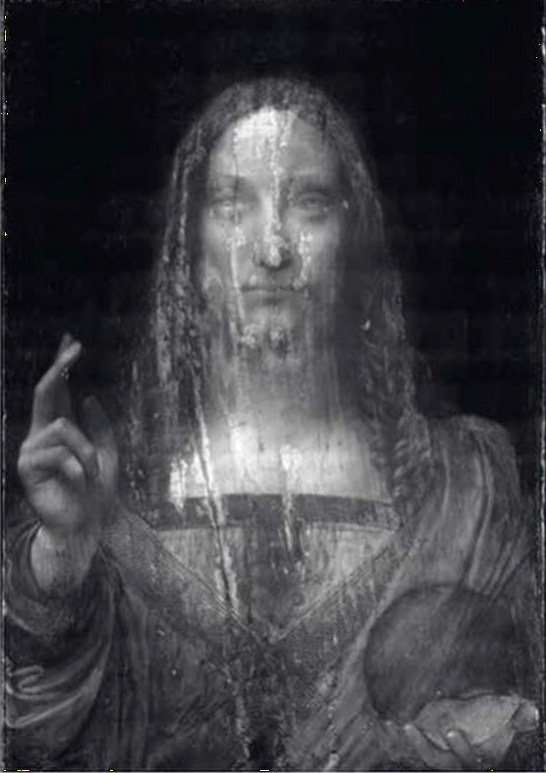 An infrared reflectogram of Salvator Mundi. Image from artwatch.org.uk. How Many Thumbs? 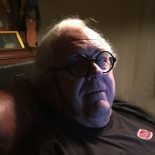 After a New Orleans auction in 2005, two art dealers brought Salvator Mundi to the attention of Dianne Modestini, professor at New York University’s Institute of Fine Arts. 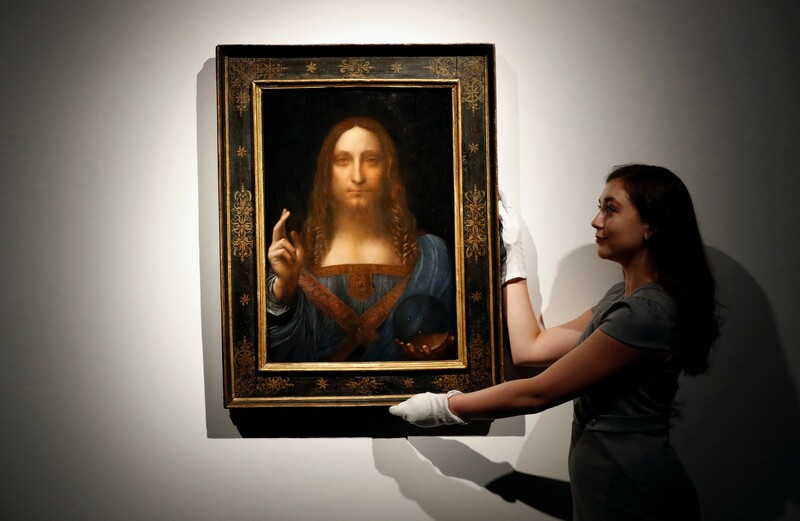 This entry was posted on April 6, 2019 by simanaitissays in The Game is Afoot and tagged "No Sign of Painting After Its $450 Million Sale" David D. Kirkpatrick NYT, "Salvator Mundi" = "Savior of the World" Leonardo da Vinci, Kings Charles I II James I II Louis XII Oliver Cromwell, Professor Dianne Modestini NYU Institute of Fine Arts.